Vastu in Sanskrit means nature, a surrounding or environment. 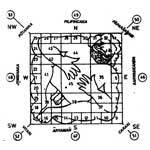 The word Vastu came from Vasthu, denoting anything existing such as house, shelter, building etc. Shastra in Sanskrit means the system. 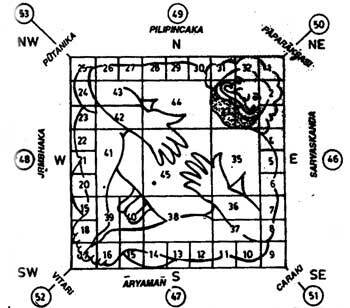 Vastu Shastra is an ancient art and science, containing principles and practices of constructing buildings that ensures a harmonious balance between man and nature and thereby brings all round happiness, health, wealth, success, harmony in life and prosperity. The dwelling unit as per Vastu principles gives us proper planning of building with maximum input of natural resources and maximum flow of natural energies in positive manner. Vastu a word consist of two Sanskrit words Vas + Astu, means a place of dwelling. This may be residential, commercial, industrial, or center of social activities too. The shape of building should merge with environment and climatic condition of the surroundings. The shape of building length, breadth and height, the entrance and space plays an important role in life of dwellers. Vastu is not only a mythological book but it is a complete encyclopedia of building science. There fore it is necessary that every Vastu consultant must have proper knowledge of building construction technology or architecture, we proud that to cater our clients we have such expertise with us. For development or regeneration of life or vegetation the basic requirements are Air, Water, Sun, Earth and Atmosphere. This Vedic architecture is called as Vastu Shastra or Vastu Vigyan, which is purely based on principles of nature means, based on Air, Water, Sun, Earth and Atmosphere. Contrast :- Building viewed in terms of surface and masses, hence shape, colour, texture, tone are made possible through contrast. Proportions :- As a building consists of mass and surface, hence the inter-relationship of masses and surfaces is called as proportions. Scale :- In building design scale refers to the proportions that will be appropriate for the desired functions of the building. Balances : Balance is the arrangement of the various units of a building such that there some balance between the parts. Rhythm :- As architecture is also an art, hence such as unorganized sound in music produces dissonance, unorganized forms produce confusion in architecture. Unity :- It is the arrangement of the different parts of an architectural composition in to proper relation to each other so that it satisfactorily composition is obtained. Character :- The functional character of a building should be the evident of the on - looker. Contrast, Scale, proportion. Vastu is a complete science of architecture & interior designing and all compositions of architecture (Contrast, Scale, proportion, balance, rhythm, unity and character) are being studied by Vastukruti team and relevant effect on building and dwellers is being studied. We, today, are renowned among the top-notch Vastu consultants in the country. Vastu has seeped into the veins of almost all the people so much so that whenever one thinks of building his house or office complex, he looks forward to build it according to the Vastu norms. This mad rush has resulted in the people being led astray by some consultants who do not have the in-depth knowledge of the matter. We stand for the ultimate satisfaction of the clients with our expansive knowledge of the matter and the experience accumulated over all these years. With an aim to propagate the view of Vastu being a science rather than a myth, we carve out unmatched solutions so as to suit the specific requirements of the clients. It has been possible because of the immense knowledge of Dr. Ghanshyam Vaishnav in the concerned field and the dedicated effort of our highly qualified professionals. The Vedic concept was derived with a view to help mankind live in peace, harmony and happiness on this planet.